Bermuda is a British territory in the Atlantic Ocean. The capital city of Bermuda is Hamilton. It was Spanish sea captain Juan de Bermudez who first reached the island in 1503. Hence, the island was named after him. His expedition team claimed ownership of the island on behalf of the Spanish Empire. However, several other colonizers gained control over Bermuda until it became a British colony in 1707 through the unification of Scotland and England. If you want to travel to Bermuda, this travel guide will come in handy. Today, Bermuda’s economy sustains itself through tourism and offshore insurance. 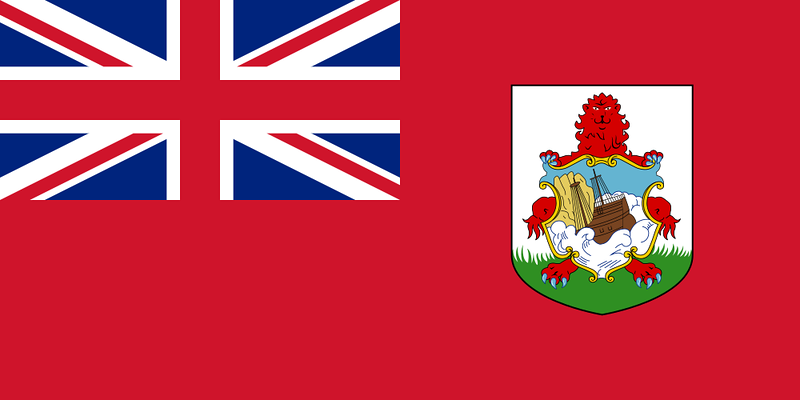 For the large part of the 20th century, Bermuda had one of the highest GDP per capita in the world. But the global recession took a huge hit on the island’s economy. The climate in Bermuda is subtropical. 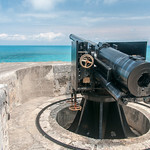 Travel to Bermuda will enable you to make the most of your time exploring the island and its many attractions. The northernmost point of the island is where you will find the infamous Bermuda Triangle. 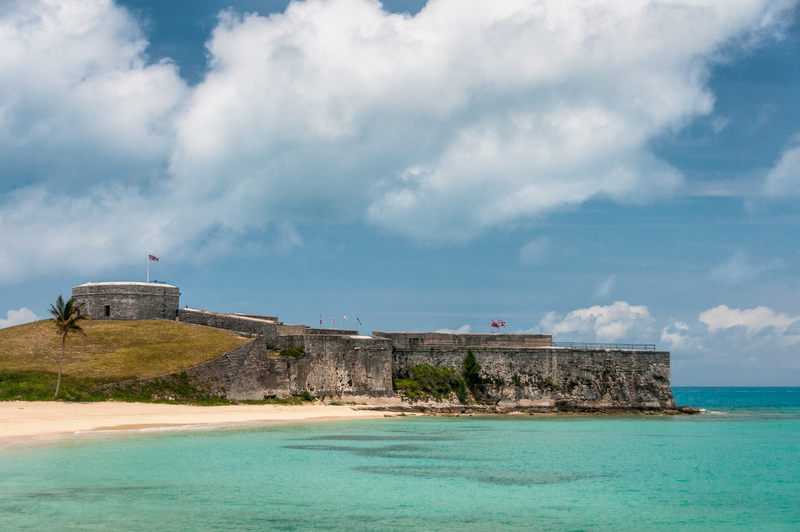 The history of Bermuda island started way back in the 16th century when it was first sighted in 1505. However, no settlement was established on the island by the time of its sighting. Many believe the discovery of the island of Bermuda was by accident when Spanish explorer Juan de Bermudez, who was captain of Spanish vessel La Garza during that time, came upon the island. When they discovered the island, it was not settled since it consisted of a group of small islands. 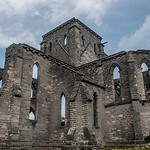 For the next century, it remained uninhabited except for the occasional shipwrecks that are washed ashore into the island. Meanwhile, the first recorded history of Bermuda was dated back to 1511 wherein it was part of a book that was published by Peter Martyr. He wrote a book of the Spanish discoveries in the Caribbean and the map showed the islands of Bermuda (then known as La Bermudas). The island was named after Captain Bermudez who initially discovered the island. This was the first time that the islands were ever printed onto a map. In 1527, Hernando Camero petitioned to claim and inhabit the island of Bermuda. However, no serious measures were taken upon his petition. By the mid-16th century, a new map (this time made by the French) was published and it was the second map to feature Bermuda as part of the Caribbean region. From 1547 to 1608, the islands of Bermuda remained unsettled. But this was about to change when the English colonists settled in Bermuda in 1609. The second charter to the Virginia Company was issued by James I. On June 2, Sea Venture began its maiden voyage but by July 28 (four days after a hurricane hit the Caribbean), it threw the voyage off course until the wreck reached one reef in Bermuda. All 150 passengers and crew of the flagship Sea Venture survived and consumed the food that was on-board for the British colonists in Virginia. Over time, the survivors of the shipwreck found resources available on the island to survive. It wasn’t long until the involuntary settlers on the island of Bermuda found that life there was more sufficient than in Jamestown. Over the next few years, the island was subject to the arrival of more colonists and explorers. By 1612, it was able to establish its own legal system that was based on the English Common Law. The first government house was also built on that same year until the town of St. George in Bermuda was established. Connectivity: Free Wi-Fi hotspots are far and few in the island of Bermuda. However, you can visit coffee shops and restaurants with Wi-Fi access and you can get connected for free. A good alternative is to buy a prepaid SIM card when you travel to Bermuda. For BMD 40, you can get up to 1GB data from the leading telco provider. You can also use the local sim card to make phone calls or texts. International Airports: The L.F. Wade International Airport, which used to be called Bermuda International Airport, is the main hub for international flights that travel to Bermuda. Visa Required: Citizens from the US, UK or Canada do not need a visa to travel to Bermuda, whether for leisure or business purposes. You need a valid passport and return ticket before you can travel to Bermuda if you are from the visa-exempt countries, however. International Driver’s License Accepted? You cannot use your foreign issued driver’s license in Bermuda. You need to carry a Bermuda driver’s license before you can. Car Rental: There is a law in Bermuda that prohibits car rental in the island. This is a mandate by the government to keep the roads from overcrowding. In fact, every household is limited to one car only. Scooters and mopeds are recommended as an alternative for foreign tourists. Rail Travel: There is no rail network or system in Bermuda. The only way you can get around is via taxi pickup. Car rental is also not permitted. You can navigate the narrow roads of the island via scooter. The bus also provides another public transport system. Crime: There was a time wherein crime was nearly non-existent in Bermuda. However, since 2011, the crime rate has skyrocketed to double the global rate. In fact, there was a time when the per capita murder rate in Bermuda was higher as compared to that of London or New York. Electrical Adapters: In Bermuda, they use an electrical voltage of 120 volts at 50 Hertz. Trivia: The infamous Bermuda Triangle is located at the northernmost part of the island. It is named as such by legend after several vessels and aircraft have mysteriously disappeared near the said location without any trace of the lost aircraft or vessel or any explainable reasons. Bermuda wasn’t known for its cuisine. There were few sources of food in the local farms because Bermudians did not grow their own food. About 90% of the food in Bermuda was imported. However, the culinary landscape in Bermuda has changed over time and it has now garnered interest from tourists. The most notable feature of Bermudian cuisine is its taste and texture. Banana scallops or banana meatloaf is one of the most popular dishes in Bermuda. It is like a regular meatloaf, except that it has banana and bacon in it. Another popular dish in Bermuda and is often served in restaurants is bean soup. There are two types of bean soups that are sought after in Bermuda: black-eyed bean soup and red bean soup. Black-eyed bean soup is inspired by the flavors of South America, while the spicy red bean soup is rooted from Portuguese cuisine. When it comes to an authentic savory recipe, Bermuda takes pride in introducing cassava pie. Other favorite dishes in Bermuda that were introduced by foreign influences include fishcakes (made from cod), fish chowder, conch, dried mullet roe, steamed mussels or mussel fritters, and sweet potato pudding. When it comes to drinks, Bermudian locals love ales, beers, and ginger beer. 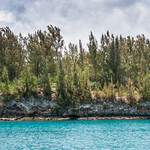 Horseshoe Bay – This is inarguably the most popular beach in Bermuda. It also earned #8 ranking in TripAdvisor for the list of best beaches in the world. It lies in the southern coast of the island with a pristine white sand beach. Bermuda Botanical Gardens – This 36-acre garden is home to several species of trees, shrubs and flowers. You can find the garden at Paget Parish, which is a close drive from downtown Hamilton. The botanical garden was inaugurated in 1898 and is maintained by the Department of Natural Resources. Spanish Point – This headland in Pembroke Parish is a popular spot for tourists due to its scenic harbor view. There is also a park and beach nearby, which is where tourists like to relax in. Gibbs Hill Lighthouse – The Royal Engineers built this lighthouse in 1844. 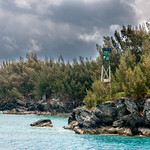 This is just one of two lighthouses in Bermuda and is also the taller of the two. It also earns the distinction as the first lighthouse made from cast iron. Hamilton – As the capital city of Bermuda, it is a must to visit this city as it also serves as the commercial and cultural center. In this city, you will find many colorful colonial buildings and get to enjoy an overlooking view of the harbor. For shopping and dining, you can head to the busiest part of the city – Front Street. It is located near the area where cruise shops dock; hence, this area is filled with plenty of tourists. 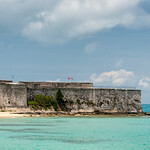 St. George’s – This island is the birthplace of Bermuda. It is steep in history as it was the sight of the first settlement in the island. During your exploration, you will come across masonry buildings, painted stones, and other colonial structures. 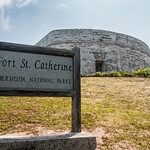 There are also several museums here that you can visit to learn more about the history of the land, such as St. George Historical Society Museum and Bermuda National Trust Museum. 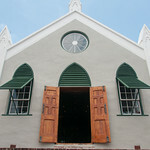 St. Peter’s Church – This is one of the most iconic attractions in Bermuda, which was built in 1612. It is also the oldest Anglican church that is still active today in the Western Hemisphere. Visitor’s Guide to Bermuda – 4th Edition. This book by Blair Howard is an updated guide containing all you need to know when visiting the island, especially when you are visiting for the first time. Fodor’s Bermuda (Full-color Travel Guide). This paperback edition of travel guide from Fodor’s has the cmplete list of information for all tastes and budgets in Bermuda. You will learn about which beaches to go, where to dive, and what food to eat. 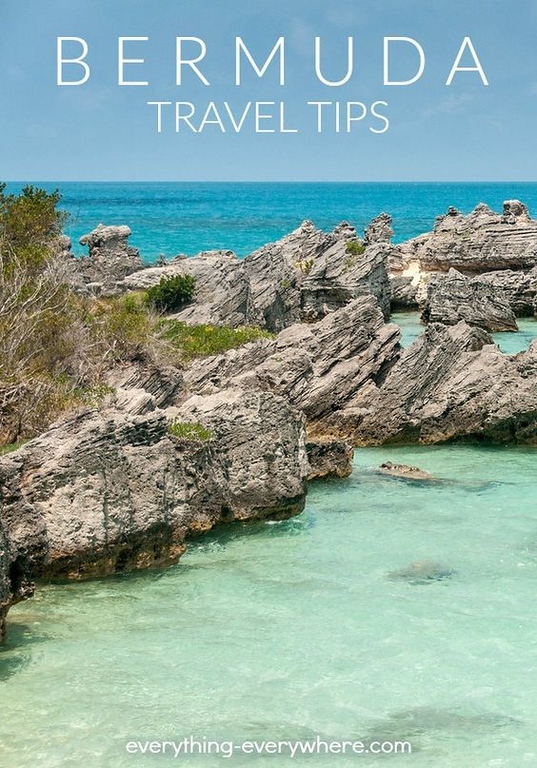 Bermuda travel guide : Everything You Need To Know When Traveling to Bermuda. This book by Elizabeth Sanz is the guide you need to maximize the beautiful landscapes of Bermuda. 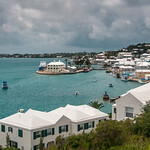 Bermuda: Gardens and Houses. Written by Sylvia Shorto, you will uncover the history of the islands and beaches in Bermuda using this guide.